For those of you who just can't stand waiting for the Nexus 4 Android 4.4 KitKat update to roll out over the air — but who also don't have an unlocked bootloader, here's your quick path to updating. 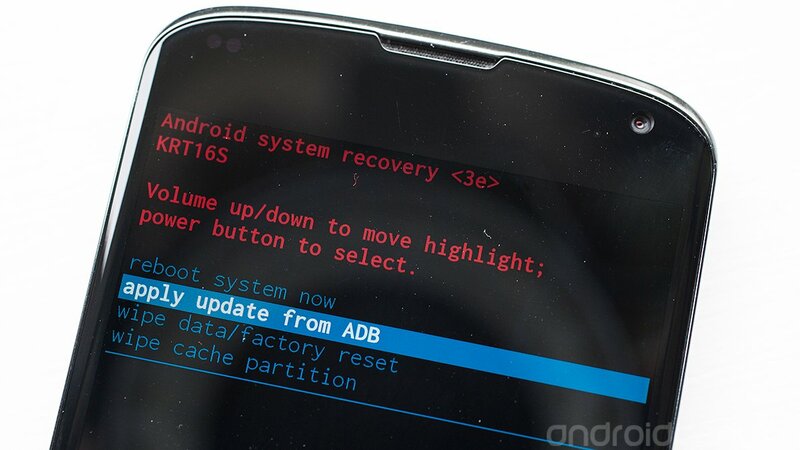 XDA's got the manual install URLs for the update, which you can apply through adb sideload in recovery. And what's more is that there's an update path for phones still on Jelly Bean — and one as well for first factory image (KRT16O) that was made available but recently replaced by a new version (KRT16S).